No Care is Too Big or Too Small… | amen and ehmen! 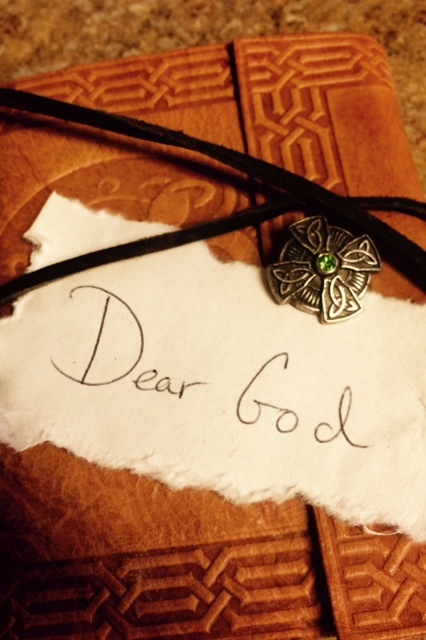 Writer’s Note: Tonight, as I prepare myself for an early morning doctor’s appointment in search of answers for an ongoing health enigma, I happened to re-read this entry from my “Dear God” Journal from this past April. Though very personal, I share it now because, quite frankly, I am feeling led to. And, if there is even the slightest chance someone else might find benefit, it’s totally worth it. I know it helped me again tonight. The Father teaches me so much and He so kindly re-teaches me as many times as it takes. I love Him and am so glad He is mine. I hope He is yours, too. Lord, help me to get up earlier so I can have more and more Me and Thee time with you; more conversations and teaching moments like this. And, Lord, be with me and this new team of physicians in the morning. I trust in You and praise You for taking such good care of me. In Jesus name I pray, Amen and Ehmen. Lord, I’m here. Still struggling with getting here to the blank page in the mornings. I’m not sleeping well; waking up multiple times in the night and, when I finally realize I can’t hit the snooze anymore, waking with a headache. I’m not sure my cpap machine is working properly or perhaps it is something else entirely. I pray, Lord, that you help the doctors find the problem once and for all…help me to find it….and fix it. I want my entire focus to be on you. I truly, truly do. And, as I wrote yesterday, I want to learn to listen more than I speak, for you know my heart. Teach me, my dear, dear Lord. And know that I love you more than life itself. You are my creator, my protector and my friend. You are my love, my present and my future. I want to be your humble servant who makes you proud. Speak to me, oh Lord. Amen and Ehmen! I wish that you fully understood the depth and breadth of My love for you. I care about everything that concerns you, even the smallest stub of the toe. If I don’t heal you in the way that you wish, perhaps there is something yet to learn; or someone yet to relate to. Faith in Me when all is well is difficult to maintain, even for the ones that are closest to me. It is human nature to forget me oftentimes when there is no rain and that can be a very dangerous place to live. Therefore, instead of concentrating on having a perfect life, which will not happen until My Kingdom comes, I want you realize that I care about your suffering and I Am here at all times to help you through it. When the Israelites cried out from the bonds of Egyptian slavery, was I not there? My Word says that I “was concerned.” And My Word is truth. Study the story of Moses and Pharaoh today as there is more that I want to enlighten you to. And remember, you, too, are my people, and I will say to whomever enslaves you today or tomorrow, “let my people go.” And it shall be. I love you, child. Go, go about your day, filled with joy. Shake off the depression and funk you have been in the last couple of days. Focus on me, suit up in my armor, and KNOW that I AM in control of all things that concern my beautiful daughter. Praying for you ALWAYS in all ways.